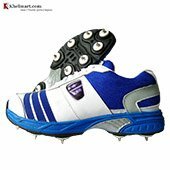 Khelmart bring you all new 2018 brand new cricket shoes range from armature players to professional players. For beginners to intermediate players, you can select brand like Thrax , Nivia and Proase while for professional players Nike ,Adidas ,Puma, New Balance and ASICS brand are available. Nike is an American sportswear, footwear manufacturing company. Company is established in 1964 as name of Blue Ribbon Sports. Nike produces quality cricket equipment for pro players to armature one. 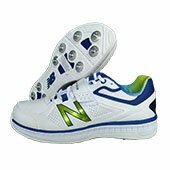 Nike Domain 2 is most popular cricket shoe in complete Nike Cricket shoe range. 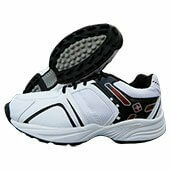 It upper is made of synthetic lather while Nylon mesh is provided for proper air ventilation in shoe. 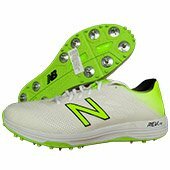 # Mid sole of this shoe is made of pylon while outsole is made of rubber stud which gives better traction force.Overall, Nike domain 2 is better cricket shoes for advance players. Nike alpha accelerate 3 is revolutionary shoe with elasticized band. With elasticized band on top of shoe is designed to deliver better fit and comfort to players. 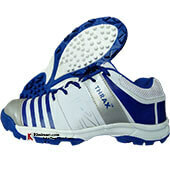 # Extra durable and tough synthetic upper is used in making of this shoe. 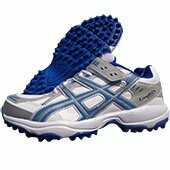 Synthetic mesh is used in upper of the shoe; synthetic mesh is provided proper breathability to shoe. 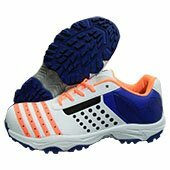 # For better traction force, specialized spikes are provided on shoe. 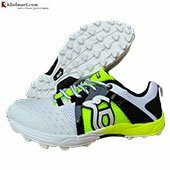 Overall, Nike Alpha accelerate 3 is unique cricket shoe with better design and overall performance. 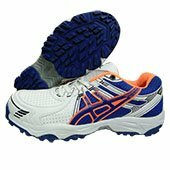 # The name of ASICS is derived from Latin quote "Anima Sana in Corpore Sano". # Meaning of this Latin quote is A Sound Mind in a Sound Body. 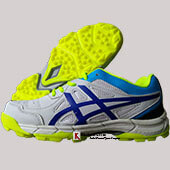 Founder of ASICS shoes belief in creating good quality shoes for better sports, fitness and creativity. 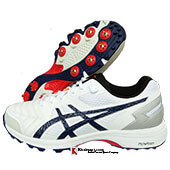 # ASICS cricket shoes one of best in its class for bowling, fielding and batting purpose. 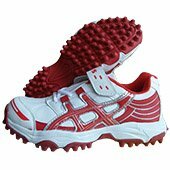 Asics shoes are developed with latest technologies and manufacturing process so that player will get better use of technology. 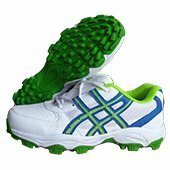 # ASCIS Gel technology is one of best technology for comfort while its integrated guided system helps cricket player for proper landing.Asics used new technologies like Gel Technology, Impact resistance technology, Flytefoam Lyte, FlyteFoam Propel. 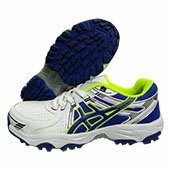 These technologies along precise manufacturing system of ASICS provide better shoes to pro players. 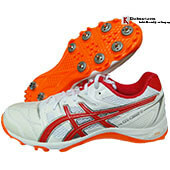 Gel Speed Menace is developed with latest gel technology which offers ultimate cushioning to players. With intergraded guidance system, player, especially bowler gets better and perfect lading during follow through action. (Following through action of a bowler is end movement or landing movement after release of cricket ball). 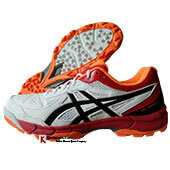 # Further to improve the cushioning of the shoes, ASICS used gel technology at front and rear foot. 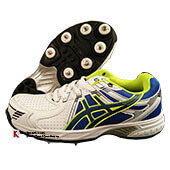 To improve the comfort of the Cricket Spikes, ASCIS used padded and foam collar. Padded collar offer great fit and super comfort to players. Sole of the cricket stud or spike is very important. It should be tough enough so that shoe should offer great abrasion resistance ability. 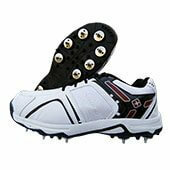 Gel peak 5 Cricket studs are developed for batsman and bowler. 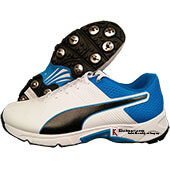 This stud shoes is developed with Gel technology which offers better comfort to players. 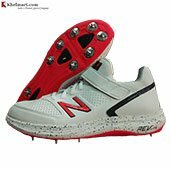 # Its mid sole, frond and real is build with specialized gel material so player gets better comfort.With Flytefoam Lyte , better foam is provide at color which is very important for fast bowler. 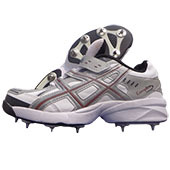 Gel gully 5 is developed for batting and fielding. 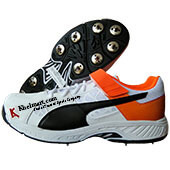 Shoe rubber studs are designed in such a way so that cricket player will get better traction force. 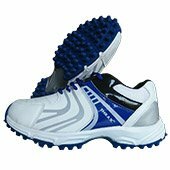 To improve the overall shoe performance and durability, new technology like PGaurd is used. 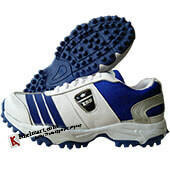 This PGaurd technology helps in effective reinforcement which results into better stability and shoe life. 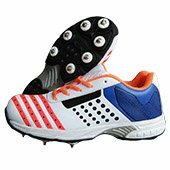 Adidas changed overall design and look of its cricket stud and spikes in 2018.Adidas cricket equipments are endorsed by international cricket players like Stuart Broad, James Anderson. Both the cricket players are England fast bowlers. 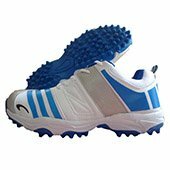 Adidas cricket shoes are very lightweight in nature and equipped with latest technology which offers better cushion and overall performance to players. Fast bowler or bowler with fast bowing action always demands the smooth landing and better cushion to avoid the injuries. 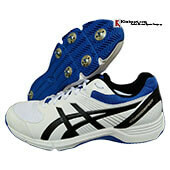 Adipower Vector Mid is specially designed to serve the need to modern day cricket game need. # Adidas used new concept with beveled heel which basically offers better stability to players with proper landing. 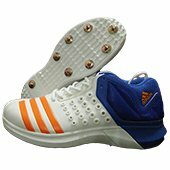 To offer better cushioning, Adidas cricket used adiprene technology which is basically works shock absorbing device to absorb more load or shocks. To decrease the overall weight of the shoe, Adidas used TPU sole. TPU sole is lightweight in nature while it is durable enough for better and long lasting performance. To improve the overall safety of the shoe, Adidas used new protective material. 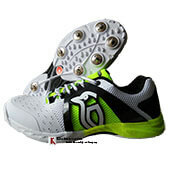 Safety and comfort are the main aspect in this cricket shoe. # TPU sole is used in this shoe, this helps in reducing the overall shoe weight and durability of shoe. 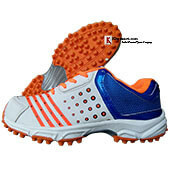 To improve the cushioning of the shoe, Adidas used EVA Mid sole which is suitable for better comfort and cushioning. 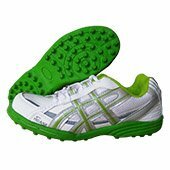 PU and lightweight material based upper help in effective weight reduction of shoe. # For improving the overall transition between two steps, beveled heel concept is used. Beveled heel helps in effective ground covering and better energy management. Front strap is good for secure the shoe with comfort. 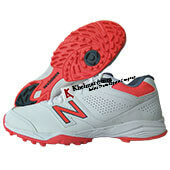 New Balance is US based company established in year 1906. The company first name was "New Balance Arch Support Company". In 1906, New Balance was world's major sports footwear manufacturers. 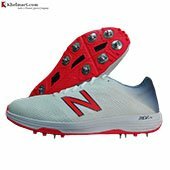 New Balance used latest manufacturing technique and material to produce high quality cricket studs and spike shoes. 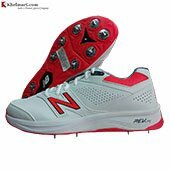 Lots of international players are using the New Balance Cricket shoes. 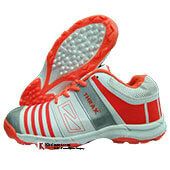 Stability for fast bowler is very important and new balance identified this requirement and developed the ISS system. ISS stand for internal support system. This system offers better stability and proper landing position to players. 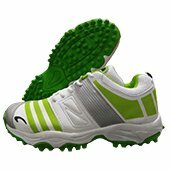 This cricket shoes is made of PU, Leather and lightweight mesh material. 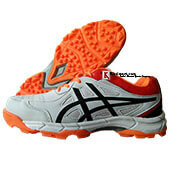 The combination of this material provides lightweight and durability in shoe. 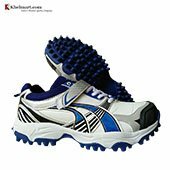 # ABZORB technology is used to prepare this higher end cricket shoe. ABZORB is the cushion technology in which, soft but resilience foam is used to make this shoe. ABZORB technology helps in proving better shock absorbing ability so that player will get better comfort against unwanted impact load. 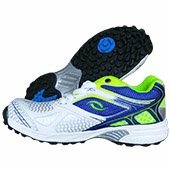 Further, to improve the cushioning of the shoe, Revlite technology is used. Revlite technology uses the ultra light weight material foam which is better in responsiveness and durability. 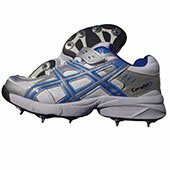 This cricket shoe is specially developed for fast bowlers. 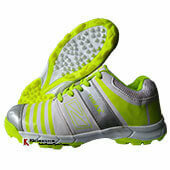 This shoe is very lightweight in nature while is upper is flexible enough which offers better performance to players. # Its upper is made with lightweight leather and durable mesh. The combination of higher end material offers better performance.FANTOM Fit technology is providing tight fit to players. To make the upper of this shoe, No stitching method is used. Two layers of ultra thin mesh is combining together to make the upper of shoe. 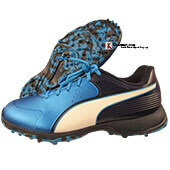 Puma evospeed is one of most popular series in cricket shoes by Puma. 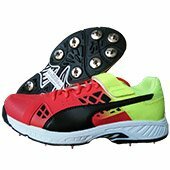 This cricket spike allow you to run quickly on cricket ground where you can do Sharpe movement wither its fielding is concern or fast bowling. 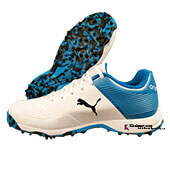 # This Puma cricket shoe is an upgraded version of Puma evospeed 18.1 range with all new technical features. Upper of this cricket shoe is made of lightweight synthetic material. Additionally, closing straps are provided on top of the shoe which gives better stability to players. Evospeed one8 R upper is made of lightweight microfiber and air mesh. The combination of microfiber and air mesh provide durable, Lightweight and breathable combination. Kookaburra cricket is Australian cricket equipment manufacturing company. It is established in year 1890. 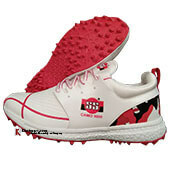 Kookaburra Pro 1500 spike shoe is developed with low profile design with cage technology. Low profile design provides better fitting and good comfort to players. Cage technology is developed for make shoe safer to players. 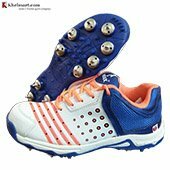 All higher end kookaburra cricket shoes are developed with lightweight shoe technology which includes the selection on ultra lightweight material as per industry standards. 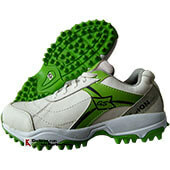 # Kookaburra used thermal flex plastic counter on backside of shoe which increase the stability. 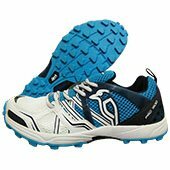 Kookaburra Pro 1500 shoe is developed with air vents which improve the air circulation within the shoes. This makes shoes refresh even for extended use. Kookaburra Pro 1500 is another good model for cricket players. This shoe is having the high quality rubber out sole equipped with unique grip patterns which offers better traction. 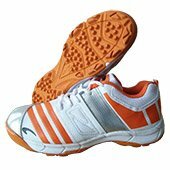 # Upper to this shoe is made of Micro fiber and ultra light mesh.Mid sole of the shoe is equipped with pylon material. Pylon material is good for shock absorbing. When sudden impact happens on shoe than pylon absorbed it and releases it slowly. GM cricket is UK - Nottingham based cricket equipment manufacturing company founded by William Gunn (the cricketer) and Thomas James Moore the businessman. 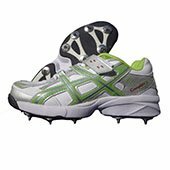 In 2018, Gunn and Moore introduces the all new concept know as multi function cricket shoes. 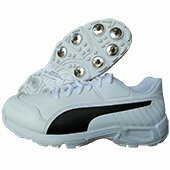 Multifunction is a concept in which cricket shoe can perform multi functions.GM cricket shoes are multipurpose shoes developed with lightweight material, Better cushion and overall cost effective. Removable foot bed: It is made of high quality EVA material which molded to provide inner shoe shape. 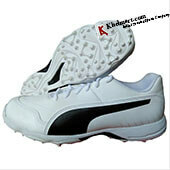 Due to molding, foot bed gets inner shoe shape results into better comfort to players. Insole board: Normally for insole board, hard material is used but GM changed it with EVA sheet. Mid Sole: Made of light weight but durable compressed EVA material. 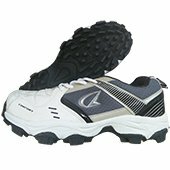 GM original all round is a rubber stud cricket shoe. This shoe upper is made of very thin nylon mesh on which head transfer technique is used to make the different design on shoe. Lightweight air mesh is provided on top on it. 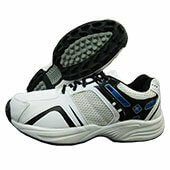 # Its mid sole is made of Pylon while inner sole is made of molded EVA sheet. 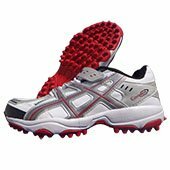 # Overall, GM original all-round shoes are good option for advance cricket players. 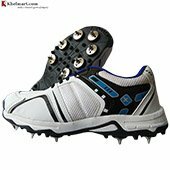 Nivia is India - Jalandher based sports equipment manufacturing firm producing the footwear's and other sports equipments. 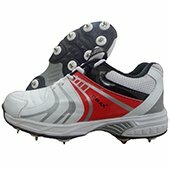 Nivia cricket shoes are economical in price range and equipped with better quality PU, mid sole and outer sole. 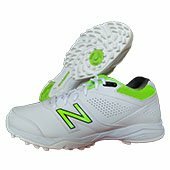 # Some of the very popular Nivia Cricket shoes are Nivia Eden, Nivia Auckland, Nivia Caribbean, and Nivia Perth.